Since you’ve landed on this page, you might be looking for someone to buy your house! We are Sell My House Easy Fast, and we buy houses in Baton Rouge. No matter what condition your house is in, where it’s located, or what price range, we can give you another option to selling your home. We are here to help our community, which has gone through floods and other disasters. We work with homeowners that need another option to get out of situations with their home or mortgage, and at the same time help rejuvenate the houses of our community. You might be in a situation where you need to move quickly. That’s why we have a really simple process – it works like this. Give us a call, or fill in your information in the form above. We’ll get in touch with you so we can learn more about the house and your situation. Don’t worry, all information is kept confidential and we don’t share it with anyone. We’ll have a team member check out the house to get some information we will need and verify details. We’ll offer a CASH amount for your home. This is a no-obligation, no hassle offer, that you can accept or decline. You don’t have to sign anything to get your offer. And you can get cash in hand in as little as 7 days (or sooner! We’ve been known to perform miracles). There are all sorts of situations that homeowners can get into, and one of these might apply for you. Falling behind on mortgage payments can lead to foreclosure, which puts a high level of stress on you, and they certainly don’t make it easy to get out of it. In fact, the mortgage company puts added fees and interest on top of the past due payments, making it nearly double what you owe. Often times, the only thing you can do is a loan modification, but there are very strict qualifications for it. You can file for bankruptcy, which costs more money in legal fees, but it would only slow down the foreclosure process. You may still lose your house, and the bankruptcy will stay on your record for 7 years. Or you can sell the home, which can pay off the mortgage and possibly even put some money in your pocket for your next place. We have helped homeowners get out of foreclosure as soon as 3 days before the auction, and they were able to salvage their credit score and not have to deal with the stress of the mortgage company breathing down their neck anymore. Similar to foreclosure, the government can put liens on your property if you still owe property tax. This is a dangerous situation because it limits what you can do with the home, and you never quite know when the government is going to do something against it. Your home can be foreclosed with liens on it, so you may face a similar situation as the threat of auction above. If you’ve inherited a home, you may not want to keep it, or you my want to sell it fast in order to liquidate it. We work with probate situations and inherited homes to help the new homeowners walk away with cash instead of having to deal with repairs, listings, and traditional sales processes. An inherited home, depending on the state of the structure, can often be a big problem for the inheritor. If you’re looking at cashing out on it, we can definitely help. Many homes go through floods, as they have in recent years, and fires occur all the time. When a home goes through some catastrophic damage, there’s a lot required to get it repaired or rebuilt. Often times, the home needs to be torn down because of extensive mold or fire damage. Many homeowners don’t know that they can still get money for the property. If you need to sell your flooded home in Baton Rouge (or surrounding areas), we can help assess the property and offer cash for it. If your home has been in a fire, then it can also still be sold so that you can walk away without having to deal with it. There are many situations where a homeowner needs to sell their home fast because of relocation. Often times, if it’s states over, or they are working in the gulf, there’s simply no way to prepare the house for sale or even think about trying to take on a tenant. If you are relocating and need to sell your house quickly either because you need the cash for the move or you just don’t have the time or money to get it ready for the market, we can get you a cash offer on it within days. In unfortunate scenarios, a marriage doesn’t work out, and the house needs to be liquidated so each party can part ways. Sometimes everyone just wants the ordeal to get resolved quickly. Other times, there’s simply no money that anyone is willing to put up to repair the home so it can be put on the market. This is where we come in — we can offer a cash value on a home so that the divorce can get settled much more quickly. It’s often easier to split cash than splitting assets or waiting for the home to be sold over a period of months in order to finalize a divorce. Most people know that the regular method to selling your house is with a real estate agent. And while that’s the best way to get top dollar for your home, there are some requirements. 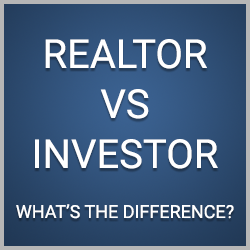 The first is that you repair the home to a point where buyers are going to be interested in it. When buyers are looking for homes on the MLS or other listings, they are generally looking for move-in ready homes. That means they aren’t interested in project homes where they have to put a down payment (for their lender) and shell out several thousands in repairs from their own pocket. Depending on the state of the home, repairs can be many thousands of dollars, starting with just simple curb appeal, interior touch-ups, and painting. Once the repairs are completed, then you hire the real estate agent, who then goes through and starts the process of preparing the home for a listing. This can be time consuming, and once the listing is up, it can take months before the home is sold. This is because homes are generally sold in seasons, usually in the spring and summer. Your home will start attracting potential buyers, and it will take time to sort through qualified buyers and showings before you get an offer. At this point, you’re going to enter negotiations, where the buyer will want to reduce the price as much as possible, and they will use every means necessary as leverage to do so. Additionally, their lender will require an appraisal, and there are multiple points in this process where the buyer will have to back-out, either because they didn’t reach a price point they wanted, the lender didn’t approve them, or some other issues came into play. At this stage, it’s rinse and repeat. But if you do get an accepted offer, then you have to go through closing, which can be anywhere from $6,000 to $15,000, and you will also pay 3% commission to the real estate agent. From the entire transaction, you’ll be out several thousands of dollars from the repairs, thousands from negotiations, thousands from the closing costs, and thousands from the commission payment. All while sitting on the house for months trying to get it sold. Getting a cash offer from a “we buy houses Baton Rouge” company like us will expedite the entire process. The simple 4-step process outlined above will save you LOTS of time, and get you out of stressful situations. Plus, once you get the offer, you can choose to accept it or walk away. We’re here to help you, the homeowner, understand that there’s an alternative. Give us a call or fill out the form to get your offer! Ok, I’m ready. Please give me a cash offer on my house!